He has been described, variously, by local historians as a “Noble Native,” a “skulking bloody savage”, and an “uncompromising foe of the white settlers.” Chief Polin, one of the most controversial and colorful figures from Windham’s early past, was the venerable leader of the 18th century Presumpscot/Sebago Indian band. The historical record suggests he was a smart and highly respected Native leader and feared greatly by the newly settled English inhabitants of the Presumpscot River region and the recently formed township of New Marblehead. During the span of the 17th and 18th centuries the great tribes of the Northeast – Passamaquoddy, Penobscot, Maliseet, Micmac and certain groups of Abenaki, formed a loose confederation known as the Wabanaki Nation (Land of the Dawn - when the sun sheds first light on the continent). From about 1675 onward displaced groups and individuals began mixing through kinship, intermarriage or other reasons. This social fluidity, or Dawnland Diaspora (Morrison), was evident in the “family” of Natives led by the Sachem (Sakamo or Chief) Polin who may have taken up seasonal residence on the south shore of the Sobagw (Sebago Pond). As noted in the last installment of this series, Polin’s band seems also to have had a home-base near Fryeburg on the Saco River, or Pigwacket village. In times of scarcity or danger the group is known to have repaired to the safety of a French missionary at St. Francis in Quebec. Because he was from all of them, Morrison states Polin could properly be called “all of these (Presumpscot, Pigwacket or St. Francis Ardosagntacook).” But due to the wide, far-ranging intermingling, the most accurate tribal association for Polin is probably Wabanaki. He adds they were definitely not Rockameecook or Sokokis. It was also because of the splintering bands that there was a call for more leaders. 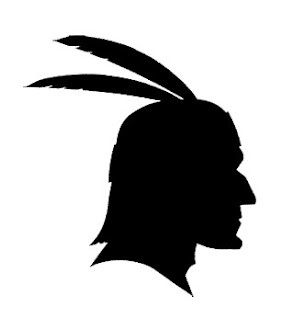 Known as mobile-managers or circulating-sakamos, Natives such as Polin, who possessed superior hunting and leadership qualities were called upon to command small bands, or families. All their locations were seasonal as they followed nature’s script for sustenance. For reasons outlined in previous installments of The Historical Record, Polin felt compelled to join hostilities against the English in both King George’s War (1744 -1749) and The French & Indian War (1754 -1756 locally). Although the wars experienced temporary periods of peace, the inhabitants of New Marblehead, with aid from the government in Boston, were compelled to build a fort and stockade where several families lived out the war. Log homes were also garrisoned for added protection. Local militia units formed to stand guard over the fort and nearby homes and to accompany farmers into the fields as they tended crops. Polin and his band of warriors entered the area, which today is the vicinity of the Maine Correctional Center and Parson Smith House. They burned dams along the Presumpscot and threatened and intimidated the inhabitants by scattering cattle, damaging property and kidnapping young men. The end came on the morning of May 14, 1756. According to Windham historian Samuel T. Dole (Windham in the Past, 1916), citing oral tradition as the source of his story, farmers Ezra Brown and Ephraim Winship and eight armed guards (four of whom were barely out of their teens) left the fort for spring planting on Brown’s farm, located about one mile east (along today’s Anderson Road). Upon hearing shots and knowing immediately what had happened, the older guards sent the younger men back to the fort for additional help and raced forward to confront the attackers. They were Abraham Anderson, Stephen Manchester, Gershom Winship and Timothy Cloutman, four resolute members of Windham’s founding families. Blasts of gunfire and soaring arrows ensued. Polin fired at Anderson from behind a tree and missed, then became briefly exposed to Manchester while he reloaded. Taking quick aim, Manchester fired. In that moment the noble chief, the uncompromising enemy of the white settler, fell dead. Confused and fearful over the death of their faithful leader, the remaining Indians yelped with rage – sounds never again to be heard in these woods. They carried off their dead chief and wounded, making their successful escape to the southwest shore of Great Sebago Pond. The French & Indian War continued until 1763. But in the Presumpscot watershed region, fighting stopped due to the death of the noble, uncompromising sachem. The firm roots from the earth divide. The earth beneath yawns dark and wide. And girded with his wampum braid. No primary-source documentation exists surrounding the chief’s final battle, and while the details are quite possibly embellished, the story has remained unchanged since Windham’s earliest days. Other creative myths and legends about Polin, however, have surfaced. He supposedly stood atop a large rock on the shoreline of Thomas Pond in Casco to address his band – thus, Pulpit Rock. Another narrative - unproven, favors Polin as the namesake for the town of Poland. Still another, which has at least gotten lip service from at least one professional historian, concerns Polin’s physical stature. He was said to have been a large man – tall and muscular, sporting a large jaw. As the story goes, bones believed to be that of an ancient Indian were unearthed near Sebago shore, possibly during construction of the Cumberland & Oxford Canal early in the 19th century. The skull had a large jaw bone and was rumored to be that of Chief Polin. It was kept and handed down by generations of a family living near Sebago Basin. Supposedly, at the insistence of the lady of the house, the skull was re-buried under a weeping willow overlooking the lake. The historian Morrison has speculated that if the story is true and it was the partial remains of Polin, it’s possible that the Chief suffered from a medical condition called acromegaly, a rare disease that causes swelling and growth of some soft organs. Indeed, but while we wait, the stories will continue to pique our interest. Next time, the pine tree that officially established the northeast boundary of the new township of New Marblehead. And Windham’s founding family.